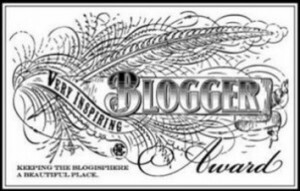 My friend and awesome author, Joanne Stewart, nominated me for this award. Thanks, Joanne! It remains to be seen if I can come up with 7 facts about myself that won’t put folks to sleep! Nominate other bloggers (the number seems to vary) and link back to them. That’s it – piece of cake! 1. I was born in the Black Hills of South Dakota just a few miles down the road from Deadwood. From the time I started school until the middle of 7th grade, I never stayed a whole year in any one school, sometimes changing two or three times a year. I still have trouble making friends and am a total introvert, more comfortable in a book than with other people. 2. I love dogs. I currently have two. One is a purebred Maltese named Kaycee. She’s my little spitfire. Reba is a Maltese/Shih tzu cross. I swear she has springs on her feet. She can stand beside my desk and jump straight up on top of it. She can also do that at the table which isn’t nearly as cute! 3. I love country music. In fact, I’m a country music snob! As unlikely as it sounds, it relaxes me like no other music can. My alarm is tuned to a country station, as is my car radio. Best live performance I ever saw – Reba McEntire at the Oregon Jamboree. 4. My favorite non-romance writer is Lisa Gardner. I’ve read all of her books except her newest release. She’s a fantastic writer. 5. My favorite place is the beach. There’s nothing like the smell of sea air, the sand constantly moving, and the awesome power of the ocean to put everything in its proper perspective. I usually have some part of my books set on the beach as well. 6. I’m a 4-H volunteer – have been since my daughters started in cooking and sewing clubs more years ago than I care to admit. They also joined clubs for dogs, rabbits, horses and pigs. They’ve long since grown up and gone on to other endeavors, but I still help out when I can. I met some of my best friends through this organization. 7. If I had sufficient time and money, I would travel. I’m struck by how huge and completely diverse this world of ours is. I think we were meant to see it all, and I am sadly behind schedule! First stop, should I ever get the chance – New Zealand! This entry was posted in Uncategorized and tagged Country music, Deadwood, Lisa Gardner, Malibu Country, New Zealand, Oregon Jamboree, Reba, Reba McEntire, Very Inspiring Blog Award. Bookmark the permalink. Wow, Dixie! Thanks for nominating me and I will definitely play along (as soon as I get some work done!) Loved learning more about you, too. I’m a doggie lover, like you, and also love to travel. I don’t know if you watch the Amazing Race, but they were in New Zealand last show. It blew me away it was so stunning. Will post the award and keep the chain going! Thanks Dixie! I’ll post mine on Friday. WE have a lot o things in common. I love the beach, Country music, dogs, 4-H, and travel too. Yay, Paty! Can’t wait to read your seven! Great, Sharon! I’ve never seen the show but a co-worker watches it regularly and I live vicariously through her when she talks about it. Darn – she missed last week! Thanks for playing. I also love dogs, the beach, reading, traveling – and am sadly behind on my travel ventures. What fun to learn more about you, Dixie! It was way fun to do! Thanks for coming by, Angel!